Effective against most infantry, this rapid-fire blasting sidearm is perfect for unarmored, short to medium range combat. 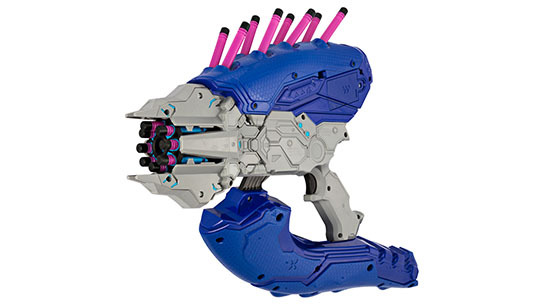 Featuring eight light up magenta dart “needles” that turn off as you fire, this blaster brings the Needler's in-game action to life! 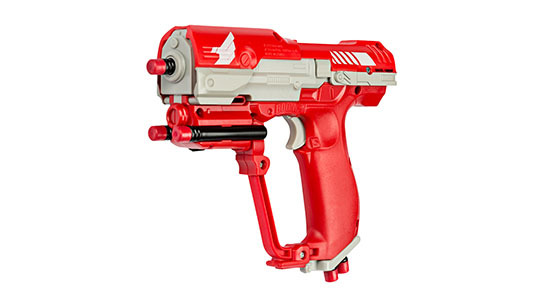 Standard sidearm of Spartan super-soldiers, the slide-action UNSC M6 Blaster can fire Smart Stick darts up to 70 feet away! 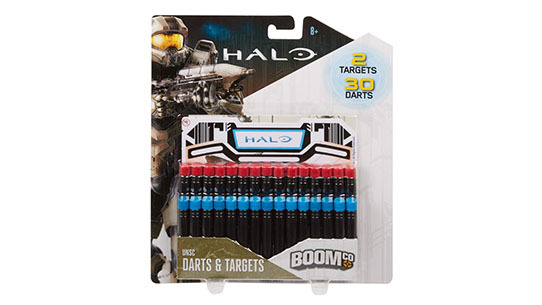 Refill your HALO blasters with this Covenant-inspired pack of 30 Smart Stick darts and Halo-themed Smart Stick targets. 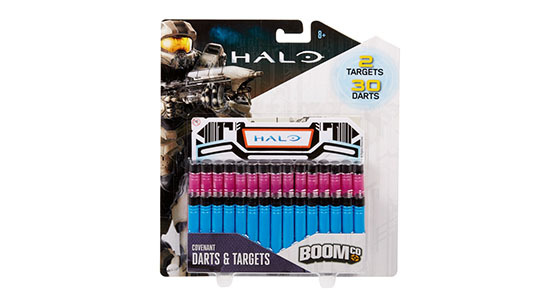 Refill your HALO blasters with this UNSC-inspired pack of 30 Smart Stick darts and Halo-themed Smart Stick targets. One of the UNSC's most prominent troop and material transports. 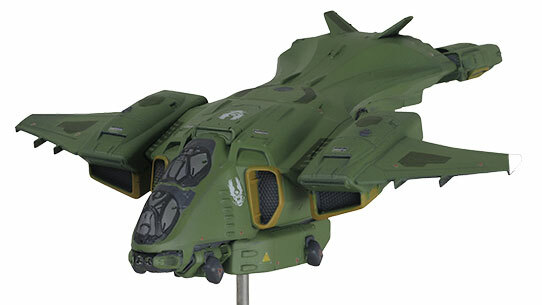 Halo fans will love this authentic, fully painted 6-inch miniature replica of the UNSC Pelican Dropship. The Halo UNSC Pelican Dropship Replica also includes a UNSC branded display stand. Without equal throughout all of the UNSC's naval forces, Infinity is the largest and most powerful vessel ever employed by humanity. Halo fans will appreciate the UNSC Infinity as an authentic, fully painted, 9-inch miniature replica. 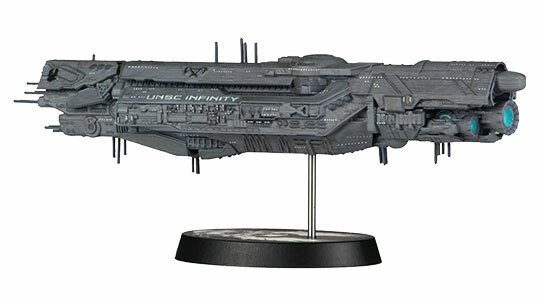 The Halo UNSC Infinity Ship Replica includes a UNSC branded display stand.